With more than 500 million supply chain transactions under our belt, it is easy to see that Syft is the clear choice for supply chain management. Our solution extends clinical systems’ capabilities by enabling an enterprise-wide mobility solution that integrates and updates ERP and EHR systems in real time. With Syft Synergy, hospitals gain complete traceability, visibility, and accuracy of all supplies and resources. 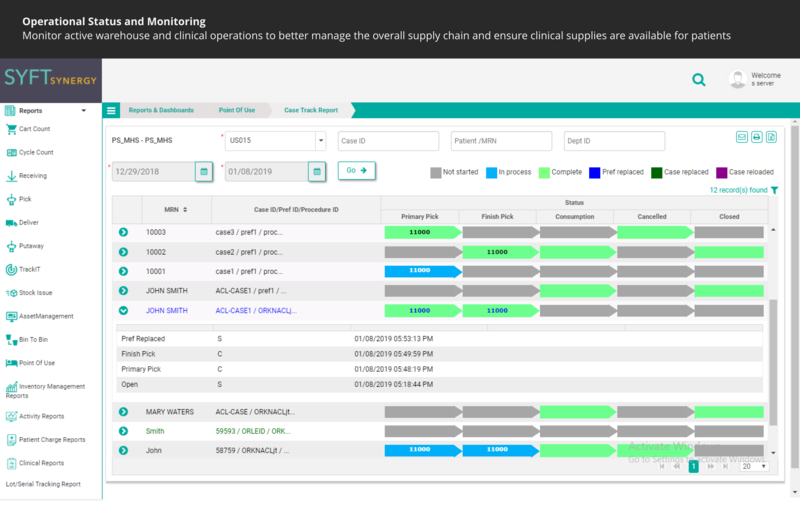 The Syft Synergy warehouse solution automates and simplifies management of perpetual inventory in the warehouse and periodic inventory across clinical areas to solve common challenges including error-prone manual processes. The Syft Synergy distribution software enables a closed-loop accounting of inventory replenishment process for both stock and non-stock supplies. Syft supports multiple replenishment methodologies including a 2-bin Kanban system. 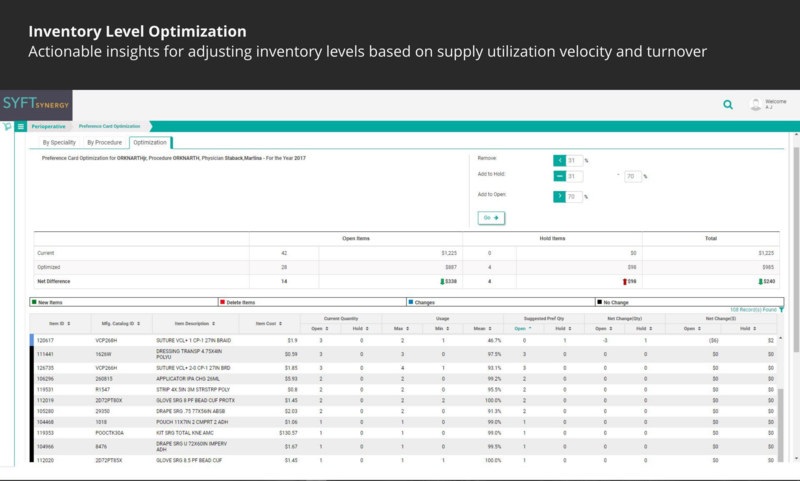 Optimize stock location items across warehouse, distribution, and clinical areas. Optimize frequency of cycle/cart counting to improve resource utilization. Optimize preference cards, case picks and OR material needed based on historical utilization.